The First Coast is a mobile studio / exhibition space that will travel to year-round coastal communities in Maine during the off-season. Through collaborations and workshops, residents will engage in conversation about their community’s working maritime identity and personal perspective of place. The First Coast is an initiative to collect sounds, stories, images, and ideas that contribute to a collective coastal memory and seek to reconstruct existing narratives and mythologies of both Maine and Mainers. The First Coast is a mobile studio / exhibition space that travels to year-round coastal communities in Maine during the off-season. Through community collaborations, oral history interviews, and workshops residents engage in conversation about their community’s working maritime identity and personal perspective of place. 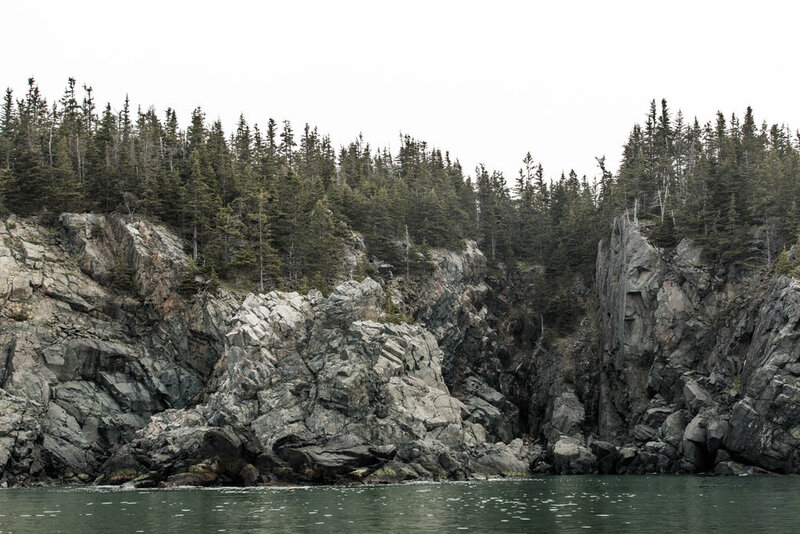 The First Coast is an initiative to collect sounds, stories, images, and ideas that contribute to a collective coastal memory and seek to reconstruct existing narratives and mythologies of both Maine and Mainers. The First Coast is an effort to reclaim the Maine coastline by creating a body of multimedia work that expresses the needs, desires, and identities of year-round coastal Mainers. The mobile studio / exhibition space, The First Coast, traveled to Stonington and Lubec in Spring 2018. The Airstream will visit Jonesport and Beals Island in Fall 2018. Galen Koch and collaborating writers and photographers will work with local residents and communities to reconstruct and repossess a changing maritime identity. Stay tuned for information about The First Coast exhibits and events, to be held Winter/Spring 2019 in Stonington, Lubec, and Jonesport and Beals. The First Coast documents community stories, through collaborations with year-round residents. TFC documentarians and storytellers work with the community to identify storytellers, stories, places, and sounds to record. By giving ownership to residents, we hope that The First Coast tells stories by Mainers, for Mainers. These stories are meant to serve the communities in which they are recorded. If you or your organization would like to host a storytelling/material gathering workshop, collaborate on local story ideas, or tell your own story, please email galen@thefirstcoast.org (for more information about community partnerships please visit our Partnership page). 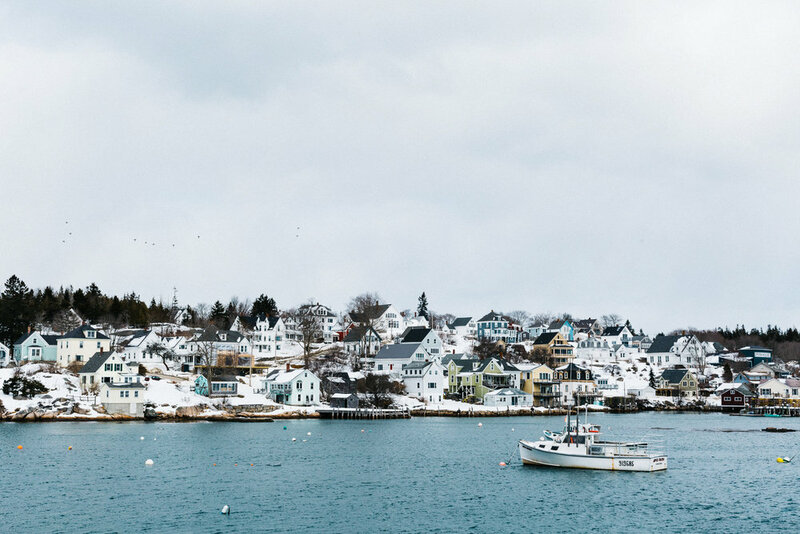 Lubec, Maine photographed by Greta Rybus for TFC, 2018. This is a crucial time to preserve, celebrate, and critique the changes happening along Maine’s coast. The First Coast draws attention to those communities who still have access and still rely on the sea through community-driven storytelling and material collection. The work produced for The First Coast exhibit tour is not intended as a commodity for tourists, rather, it is intended for the people who live and work by the sea. It is an effort to preserve a collective coastal memory and living maritime history. Stonington Harbor, late March. Photo by Justin Levesque for TFC, 2018. Follow along on the TFC blog! Check Out This Video by Timber & Frame! Progress is being made, and the Airstream has moved to a new location! It's a painting party! And I can't believe the transformation! After the finishing work on the floor supports, I turned my attention to the walls. Cilla's walls are original aluminum with a vinyl coating.